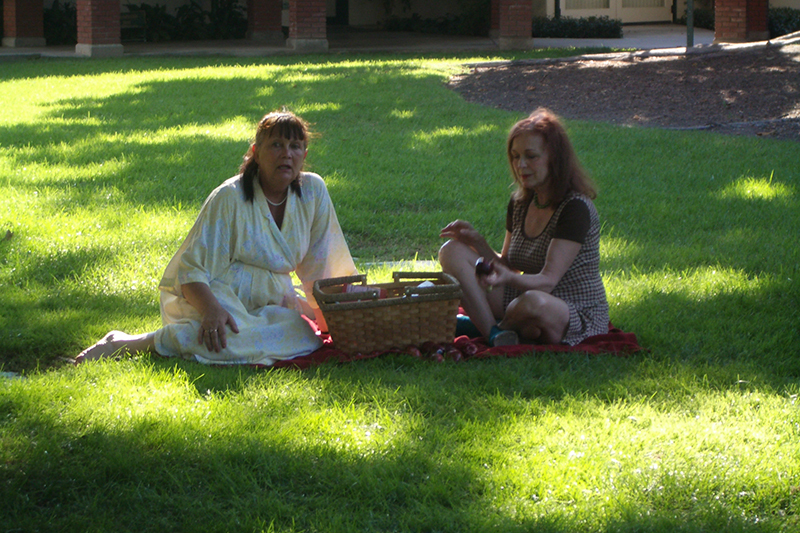 C'est moi on location in Hollywood with fellow actress Christine Weber-Garnier and Shirley Burns. We are shooting the movie Young Guns by director Haran Sivakumar. I play a former It Girl smoking pot. My name is Pam.